Pfizer introduced the prescription drug Zoloft to the market in 1991, and it became one of the most widely prescribed antidepressants in the U.S. Recently, however, the drug has been linked to dangerous birth defects, such as heart defects, skull and brain defects, and severe circulatory defects, such as persistent pulmonary hypertension of the newborn (PPHN). Babies exposed to Zoloft may also have a higher risk of respiratory problems, neurological problems, developmental delays and cerebral palsy. They also are at risk of premature birth. Hundreds of Zoloft birth defect lawsuits have been filed. These lawsuits accuse Pfizer of actively advertising the drug to pregnant women, even though studies show that Zoloft increases the risk of birth defects, some of which can be fatal. Many children who survive Zoloft exposure are forced to spend much of their lives in an out of doctors’ offices so that their health can be monitored. A large number of adults are now filing lawsuits against Pfizer, claiming that they suffered birth defects after their mothers took Zoloft during pregnancy. Zoloft is an antidepressant that works by maintaining chemical balance in the brain, and belongs to the family of drugs known as selective serotonin reuptake inhibitors (SSRIs). Drugs in this class have largely been assigned a “C” grade for safety during pregnancy by the U.S. Food and Drug Administration (FDA). This means that they have been known to harm animals taking them in large doses, but because researchers cannot ethically test any drug on a human baby, the FDA states that effects on a baby in the womb are unknown. Taking antidepressants such as Zoloft during pregnancy poses risks for the baby, but stopping an antidepressant might pose risks for the mother, and some of these risks could affect the health of the baby. The decision to use antidepressants during pregnancy is based on the balance between risks and benefits. Few antidepressants have been proven unquestionably safe during pregnancy. The management of pregnant women with depression requires close coordination of care among the family physician, obstetrician, psychiatrist, and pediatrician. Close collaboration is required to optimize care for both the mother baby, and to minimize risks associated with mental illness and the effects of drug exposure on the unborn baby. All risks and benefits must be thoroughly explained to the mother, and her informed consent must be given. Women who used Zoloft during pregnancy can take legal action because the manufacturer of Zoloft failed to warn patients and physicians about the potential risk of Zoloft birth defects. According to one Danish study, women taking Zoloft early in pregnancy have a higher risk for delivering a child with a septal heart defect (defects in walls of the heart). Three studies have observed an increased risk of PPHN in infants exposed to SSRIs in the womb during the second half of pregnancy. In 2006, the FDA issued an initial public health advisory regarding this risk. According to some of the lawsuits, Pfizer and Greenstone LLC (which makes the generic version of Zoloft, Sertraline) learned early on, back before the drug was on the market, that Zoloft could cause birth defects, particularly heart defects and fetal death, if taken during pregnancy. In fact, lawsuits allege that through a variety of methods, Pfizer and Greenstone actually encouraged physicians to prescribe Zoloft to women of child bearing age, women who were trying to conceive, and pregnant women. In fact, Pfizer directly marketed to pregnant women. These birth defects are very serious. Defects that affect the heart and lungs often cause a decrease in the amount of oxygen a baby can get into her tissues, called hypoxia. When there is a lack of oxygen in the brain, a condition called hypoxic ischemic encephalopathy (HIE) can result. Hypoxia can result in seizures, cerebral palsy, kidney failure, multiple organ damage, heart failure, and brain hemorrhages, including intraventriuclar hemorrhages (IVH), that can cause hydrocephalus and other brain injuries that often are permanent. PPHN is one of the most common serious birth defects associated with the use of Zoloft and other antidepressants during pregnancy. Approximately 40% of babies inflicted with PPHN suffer from impaired motor development, and about 26% of babies with PPHN suffer from cerebral palsy. Some research has additionally found that SSRIs taken during pregnancy, such as Zoloft, Celexa, Paxil and Prozac, can increase the risk of miscarriage, preterm birth, preeclampsia, and neurobehavioral problems and autism in the baby later in life. In 2005, the FDA requested that Paxil’s rating be changed from a grade C to a D. Paxil has been associated with fetal heart defects when taken during the first 3 months of pregnancy. Drugs that are labeled as D have been shown to be a risk to a human fetus. Antidepressants that are monoamine oxidase inhibitors (MAOIs), such as phenelzine and tranylcypromine (Parnate) also should not be used during pregnancy because they have been shown to limit fetal growth and aggravate maternal high blood pressure. Researchers have consistently found that SSRIs easily pass through the placenta and impact the development of the fetus in serious ways, elevating the risk of many birth defects. The National Institute of Mental Health reported in a March 2009 study that SSRIs increase the risk of premature birth. When antidepressants are considered during pregnancy, it is extremely important that the obstetrician, in collaboration with the mother’s psychiatrist and other physicians, carefully review all the risks and benefits of antidepressant usage. A discussion with the mother regarding alternatives to SSRI treatment must also take place. If a pregnant woman’s physician prescribes antidepressant medications for her and fails to discuss the risks/benefits of and alternatives to the drug’s use, it is negligence. If a risky antidepressant is prescribed to a mother during pregnancy, this also could constitute negligence. Furthermore, if physicians fail to collaborate regarding the mother’s antidepressant usage, and if the physicians fail to properly monitor the mother and baby throughout pregnancy, it is negligence. If negligence results in permanent injury to the mother or baby, it is medical malpractice. When manufacturers of a drug know of the drug’s risks and fail to adequately warn its users or the physicians prescribing the drug, it is negligence. If the drug causes injury to the mother or baby, the drug manufacturer is liable for the injury. Manufacturers of drugs can be liable for physical, mental and emotional injury. Pharmaceutical companies also can be liable for financial damages. Lawsuits against makers of dangerous antidepressants typically contain counts of breach warranty, negligence, strict liability, fraud, negligent misrepresentation, negligence per se, and unjust enrichment. 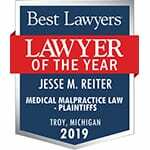 If you or your baby suffered injuries after antidepressant use during pregnancy, contact the nationally recognized birth injury and products liability attorneys at Reiter & Walsh ABC Law Centers. We have decades of experience handling birth injury cases throughout the country, and we will fight until you and your family get the compensation you deserve. 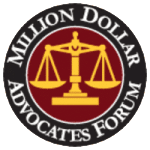 We have a history of multi-million dollar verdicts that attest to our success, and you never pay anything until we win your case. Call our firm today: 888-419-2229.